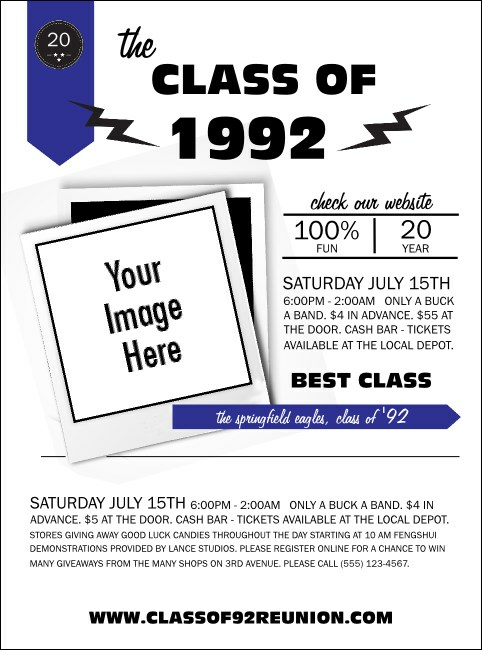 You don’t have to be a marketing major to promote your event like a professional with Class Reunion Mascot Blue Flyers. Reunite your old crew with Flyers that feature space for you to upload your own personal image and room to customize up to twenty-three lines of text with all your event details. TicketPrinting.com helps you keep your advertising classy.